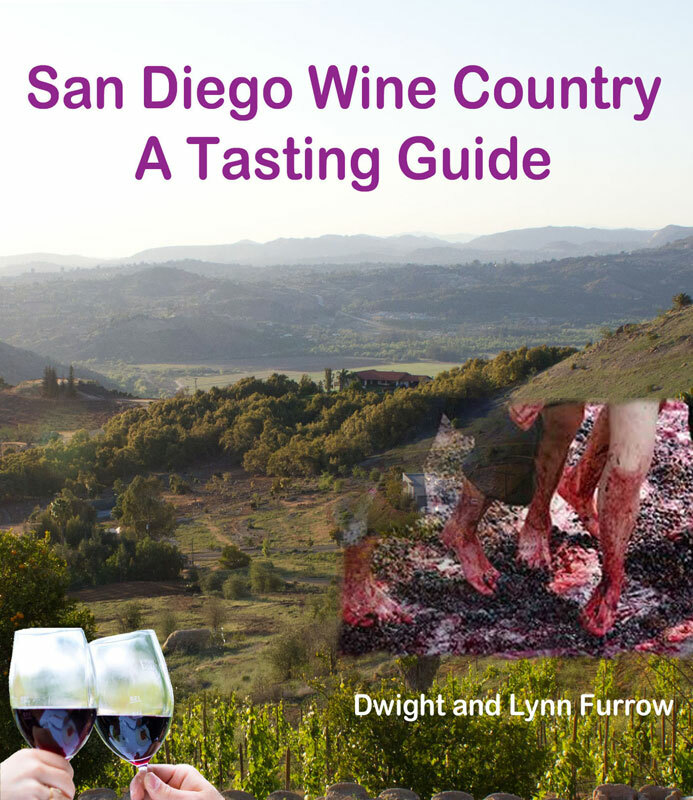 Cool climate wine regions are always interesting. Because they cannot rely on consistent sun and warmth to sufficiently ripen grapes, every vintage is different, theories abound on how to meet nature’s challenges, and ingenuity and experimentation are existential requirements. There is also a steep learning curve for novice producers and substantial quality variation. The Finger Lakes in New York are no exception. In our intensive, month-long exploration we found a fascinating region with rapidly improving quality but some inconsistency as well. Although they’ve been making wine for many decades, until the mid-20th century, the Finger Lakes wine business was built on cheap, large production, jug wines, invariably sweet and made from hardy native varieties such as Catawba and Concord. But in the mid-1950’s, pioneers influenced by the Ukrainian immigrant Dr. Konstantin Frank began to believe vitis vinifera could be grown here—after all Germany does it and that’s no temperate winter climate. Thus began the long process of becoming a world-class wine region. It’s the depth of the lakes, among the deepest in North America, along with a diverse mix of soils that makes this a viable wine region. Seneca, Cayuga, and Keuka Lakes are deep enough to resist freezing in the winter. The relative warmth of the lake water moderates the temperatures of the land around their perimeter allowing vines planted in the right locations to survive frigid conditions. In the summer the lake effect moderates temperatures when the heat spikes. Because many varietals will neither survive harsh winters nor ripen during a short growing season, cool climate regions have a limited number of varietals to choose from and will often specialize in one grape. 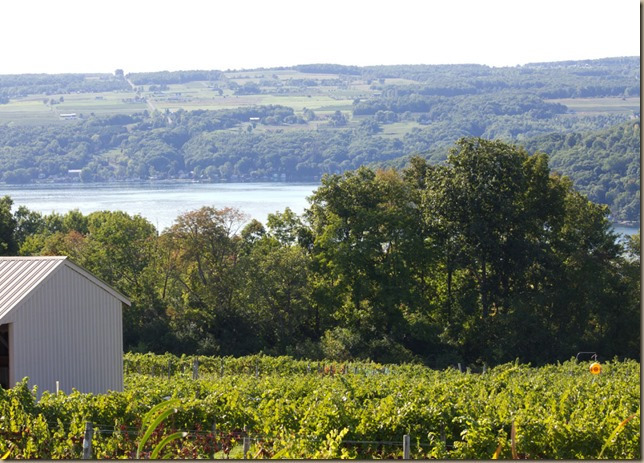 Like Germany, the Finger Lakes are committed to Riesling, because it is suited to cold winters and short summers. Thanks to some dedicated growers and producers who care about quality, their Riesling is thriving. Racy and lively, precisely etched with great clarity, most display a thrilling mineral core and some manage substantial fruit expression as well. They range from bone dry to “Auslese” or “Beerenauslese” sweet and everything in between. The secret to Riesling quality in the Finger Lakes (as in Germany) is many passes through the vineyard. Harvest the first-ripened bunches early in the harvest season. Then send your crews into the vineyards again to pick off later ripening grapes with more fully developed flavors. Rinse and repeat as long as the weather permits, giving wineries a variety of sweetness levels and flavor profiles to work with. This is time consuming, expensive, and perilous given the uncertainties of fall weather but that is what it takes to create quality. 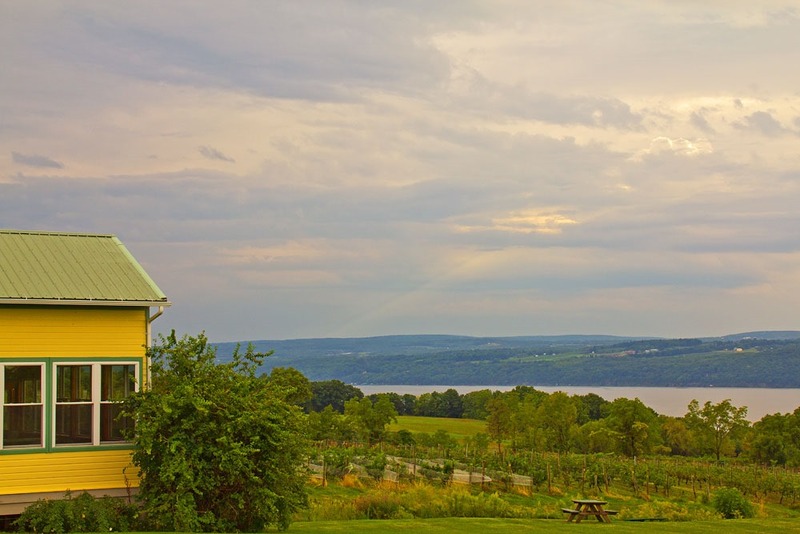 With the better tasting flights featuring the full gamut of Riesling expression, the Finger Lakes can now claim to compete in quality with Oregon and Washington State Riesling if not Germany. Finger Lakes Riesling has less of the peach and apricot expression produced by the warmer sites in Washington State, instead showing more searing minerality and citrus, especially lime. But only the very best approach German Riesling’s combination of strength, richness, and delicacy. Among the best dry Rieslings we tasted were Kemmeter Wines Seneca Lake 2015 , Boundary Breaks 2014 #239, Red Knewt’s The Knoll 2014, and Hermann J. Wiemer HJW Vineyard 2014 . (Here are my reviews of Kemmeter and Boundary Breaks) Bellwether and Bloomer Creek also stood out for their quality as well as experimental approach to Riesling taking it in new directions using native yeasts, very slow fermentations and extended lees contact. On the sweeter side, once again Kemmeter’s Sheldrake Point Vineyard was impressive as was Fox Run’s Lake Dana 2012 (Reviews are forthcoming). But the knockout was Sheldrake Point’s 2014 Wild Ferment Ice Wine. Gorgeous apricot and honey with an evolution on the palate from viscous entre to an ethereal, lifted finish, this was one of the better wines I’ve tasted this year. No one at the winery seems to know why this vintage was so superior. Getting just the right amount and quality of botrytis (a form of fungus that can give wines a honeyed, apricot flavor) is essential but how you encourage that is a mystery. They’ve tried to duplicate it to no avail. It’s nature’s mysterious gift but keep an eye out for the next bestowal. Gewurztraminer also grows well here for the wineries who give it attention and don’t mind its finicky nature. Keuka Lakes’ version is lovely. Many wineries including Keuka Lakes make an Alsatian-influenced, dry style Gewurztraminer that is captivating. The Chardonnay tends to be average throughout the region, Gruner Veltliner, Pinot Gris and Pinot Blanc are planted as well but I found them undistinguished. Red varietals are another story. For wineries who make the commitment, Pinot Noir is interesting and expressive although invariably lean when compared to California or even Oregon. Ravines (my review here), Heart and Hands (review forthcoming), and the Damiani Reserve level were top notch. Finger Lakes Pinot Noir tends to be herbal with some spice notes such as clove, but seldom show the earthiness of Burgundy, the crushed rock aromas of Oregon’s Willamette Valley, or the vanilla of the robust California versions. With colder winters and a shorter growing season than Washington, Oregon or Burgundy, Pinot Noir will always be a dicey proposition but its allure has captured the imaginations of many of the highest quality producers, and I expect constant improvement as producers learn to adapt to the unique conditions here. Cabernet Franc, easier to ripen than Cabernet Sauvignon, is common but undistinguished except from a few producers in the best vintages. Offerings from Ravines, Red Newt and Domaine Le Seurre stood out. Wineries who take the utmost care can make acceptable Bordeaux-style blends using Merlot, Cab Franc, and what small quantity of Cabernet Sauvignon they can get ripe. But for red wines, especially, the gap between the best and the rest is enormous. Aside from Pinot Noir, I should mention two red wines I found especially interesting: Bloomer Creek’s Bordeaux Blend called White Horse and Standing Stone’s Reserve Saperavi. Bloomer Creek’s line up is as close as you can get to a Finger Lakes “natural wine”. Winemaker Kim Engle uses some sulfur dioxide treatments, a necessity in this region, but prefers to allow fermentations to do their thing without a lot of intervention. The results are unique wines unlike any others I tasted. (My White Horse review is here)They are not for everyone but if you’re interested in new approaches to winemaking in the region, Bloomer Creek is a must stop. But the experiment with Saperavi may be the most promising. Saperavi is a varietal indigenous to Georgia (in Eastern Europe) and does very well in cold weather so some wineries in FLX are experimenting with it. Standing Stone and McGregor Vineyards (whose version called Black Russian is blended with Serekseya)are the most prominent. I found the elegance of the Standing Stone version preferable (my review is here) but both are worth seeking out. There are promising experiments with Lemberger (AKA Blaufrankisch in Austria and Germany) and French/American hybrids such as Chancellor all of which may pay off as wineries continue the long, empirically-driven process of discovering what works. Certainly with the cool weather whites, but even with regard to some reds, the Finger Lakes region is just beginning to realize its potential, and there is a critical mass of producers who are willing to sacrifice short-term profit in order to realize their goal of making world-class wines. The Rieslings have already arrived, Gewurztraminer is close, the reds still a dream but one that is becoming more vivid as time goes on. When visiting, keep in mind that vintage variation is substantial. Consistency from year to year cannot be expected; the variation is part of what makes the region captivating. The only reservation I have is that emerging wine regions benefit greatly from having a large city nearby within driving distance for a day trip. The Willamette Valley has Portland; Hill Country, Texas has Austin and San Antonio; Virginia has Washington D.C. The Finger Lakes have both Syracuse and Rochester nearby but these two cities are considerably smaller and less affluent than the others. The five-hour drive from New York City is too long for a day trip although the city remains a great market for restaurant and wine shop sales. The lack of affluent, local tourists limits the prices they can charge at the winery (as well as the capital to invest in quality wine). But for wine lovers there is a silver lining to this cost structure. Tastings at the winery can be had for a nominal fee (often as low as $3) and first-rate bottles of their higher production wines are often well under $20. As for the regional foods in this part of New York, the most prominent is seldom found in restaurants but is ubiquitous at cookouts and state fairs. That would be Cornell chicken, a must try for barbecue fans seeking an alternative to thick, sweet, tomato-based sauces. It’s usually served with salt potatoes, a product of Syracuse that will satisfy spud-seekers everywhere. (See my discussion and recipes for both dishes). When winetasting in the region you will not go hungry. Many of the wineries are serious about their food offerings and the small towns and cities that dot the region have thriving foodie cultures that will keep taste buds interested. For the Fish Fry, another Finger Lakes tradition, seek out Doug’s Fish Fry in Skaneateles. When winetasting on the West side of Seneca Lake, check out FLX Weinery in Dundee for creative gourmet sausages, burgers, and hot dogs. And I couldn’t resist a trip to Rochester to sample the garbage plate—a melange of sausage, home fries, macaroni salad and meat sauce best sampled at 2:00 A.M. after an extended bender. But the restaurant which I think best captures the taste of the Finger Lakes is Danos on the East side of Seneca Lake. This region had a lot of Germanic influence long before Riesling arrived. Now that they have adopted the principle grape of Germany and Austria, German/Austrian cuisine is a natural and Danos does it right, serving some of the dishes Heuriger style. (A Heuriger is a wine tavern where new wines are served in mugs and the food is served family style). The spreads and salads were exquisite, the smoked pork, sausage and sauerkraut memorable, the wine list interesting and filled out with plenty of local favorites. There are also a variety of outstanding cheesemakers, distilleries, and breweries in the region, along with ubiquitous farm stands with seasonal fresh vegetables on almost every major road. And I should mention that this region is drop dead gorgeous. Because the wineries are situated along the perimeter of the lakes, many offer beautiful lakeside views and the region is dotted with small farms and charming towns giving the region a bucolic atmosphere. Cross posted on Edible Arts on 10/26/16.